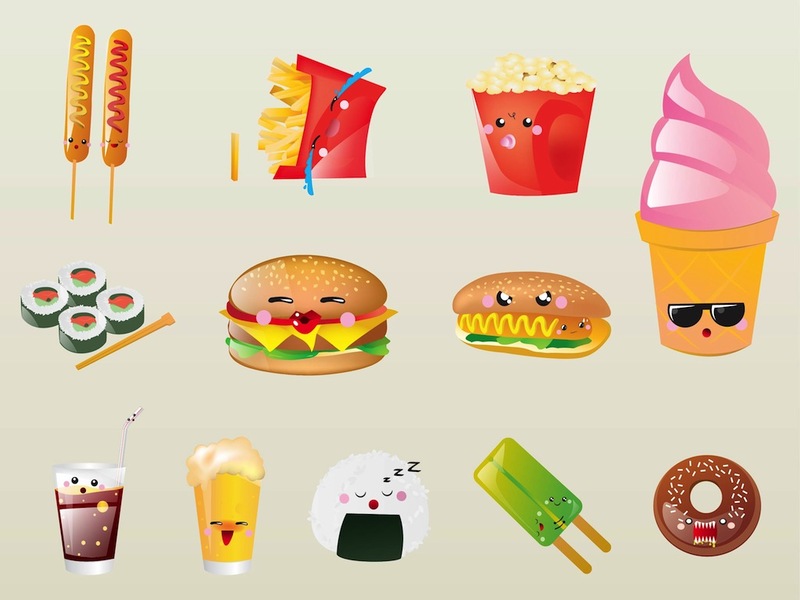 Cute vector illustrations of foods and drinks. Large collection of images of edible characters with different expressions and faces. Popular food items and drinks in shiny glasses. Free vector illustrations for all your cartoon or gaming characters, brand mascots and fast food adverts design projects. Tags: Cartoons, Cute, Delicious, Drinks, Edible, Expressions, Faces, Fast Food, Foods.